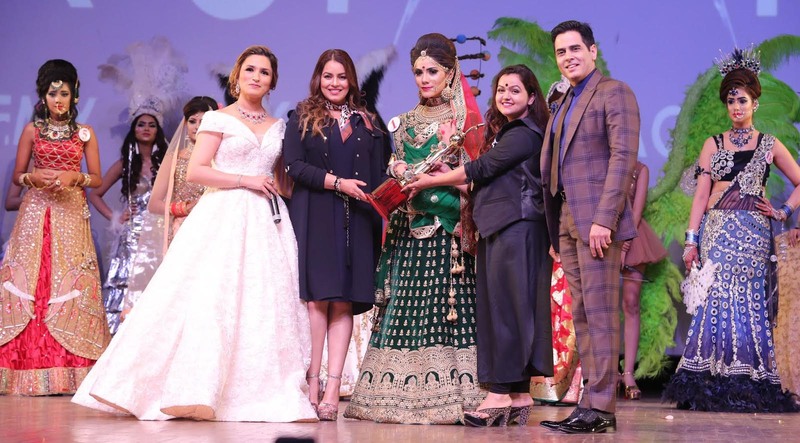 New Delhi, May 22, 2018 (Team Online News India): On the evening accompanied with glitterati and glamour, the Faceoff Championship Season 3 presented by Star Salon Academy of Aashmeen Munjaal celebrated the annual convocation of the students of Star Academy at Siri Fort auditorium, New Delhi. The jury for the event comprised of renowned faces like Bollywood Actress Mahima Chaudhary and Bollywood and TV Actor Aman Yatan Verma, Social Activist and Golfer Neelam Pratap Rudy, Business Entrepreneur Vandy Mehra, Columnist Shalini Arora Kochar, Fashion Designer Preeti Ghai, Fashion Designer Amit Talwar Trekkia, Fitness Expert Vesna Jacob, Life Coach Ramon Lamba, Nutritionist Varun Katyal, Fashion Designers Bharat Grover and Reshma Grover, Stylist Alma Ranchel, Big Boss Fame Mohit Gulati, Marketing analyst Shilpa Daga, Artist Anjanna Kuthiala and Choreographer Liza Verma. Every year a grand Graduation Day and FaceOff Championship is held to encourage the students of Star Academy. The event witnessed the mélange of Fashion and Tradition, makeover shows and ramp walk by the academy students. Stepping shoes for their new journey, freshers got a wider platform and exposure to showcase their skills and talent. The winners were awarded with trophy and cash prize. Celebrity Hair Stylist Niell Talwar said, “We, at Star Hair and Makeup academy let our students experiment with what they want, this helps them to pursue the profession with a great interest and it also enhances the talent in them. That is the reason we came up with all new Gothic, Runway fashion, wedding and fantasy looks this year. Future of this competition will embrace budding artists from the whole industry. I feel very enthusiastic and cheerful that I'm leading the team which host such magical event of makeovers." Along with Convocation and Makeover Championship, on this auspicious occasion, Aashmeen Munjaal celebrated the launch of her Ash n Niell unisex salon outlets opened in Gurgaon Vatika business park and East of Kailash. Students who want to start their salons after Star Academy professional course will be given full support and supervision through Ash n Niell Salon franchise initiative. It's an opportunity to add full time or part time creative profile to their career. Student can earn Money, Name and Fame after doing this course.